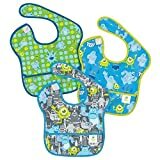 Bibs come in about every shape and style imaginable. 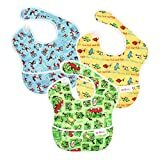 Some prefer soft cotton bibs while many like a easy to wipe down style baby bib. 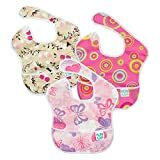 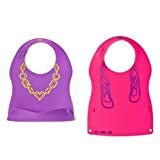 The below selection of baby bibs are not only easy to take on and take off, but are a breeze to clean and some even use magnets to secure the baby bib instead of velcro or snaps.